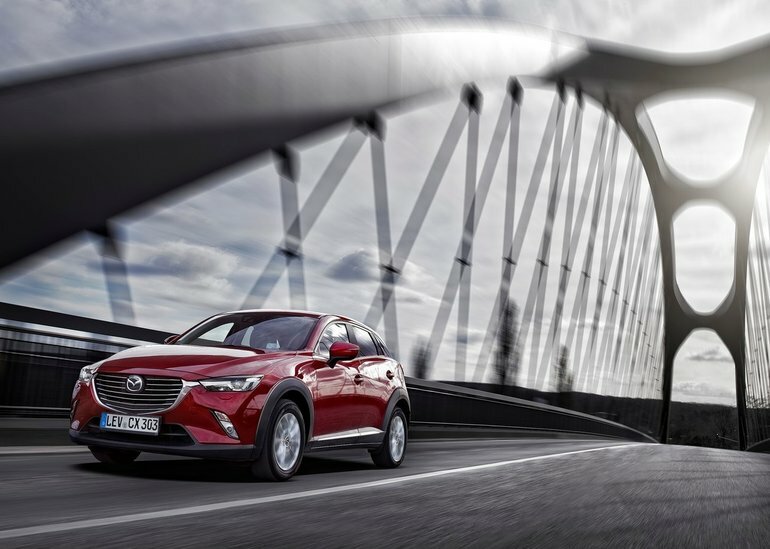 The all-new subcompact SUV Mazda CX-3 continues to draw praise from the press. After winning top honors in its segment according to the Car Guide, the CX-3 has just been named finalist for the Utility Vehicle of the Year by the Automobile Journalists Association of Canada. Indeed, the announcement was made last week at the Montreal International Auto Show. The CX-3 has finished on top of its class in front of the Honda HR-V as well as the Fiat 500X and Jeep Renegade. The CX-3 even outpaced the Mitsubishi Outlander, a larger and more expensive SUV. The CX-3 will face the Kia Sorento (midsize SUV) and Volvo XC90 (luxury midsize SUV), the other two finalists for the coveted title handed out by AJAC. Each year, roughly 70 AJAC journalist members gather in Ontario for Test Fest, an event that allows every journalist to test each new vehicle in similar conditions. This year, there were over 40 new vehicles on hand, including the four CX-3 direct competitors described above. Each vehicle is judged and rated on a host of criteria including interior space, comfort, fuel-efficiency, driving pleasure and a lot more. This year, the CX-3 came out on top despite facing tough competition from the likes of the new Honda HR-V, Jeep Renegade and Fiat 500X, all subcompact SUVs that are brand new this year as well. To learn more about the 2016 Mazda CX-3, come in today to City Mazda!